Rotork has the experience, know-how and product range to deliver virtually any actuation solution. Rotork products have long been chosen for their reliability and performance. Whilst these proven characteristics are certain under normal operating conditions, there are conditions that not even a standard Rotork actuator can operate in fire. 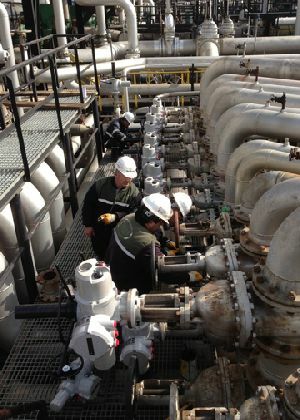 Fire and explosion is a major cause of concern to refinery, gas processing, petrochemical and offshore installations. Danger and damage from fire can be minimised by the efficient and effective protection of the systems, which control the plant. 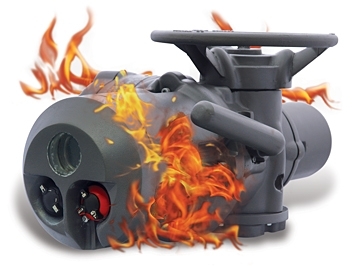 For this reason Rotork can recommend a range of fire proofing options for it’s actuators, ranging from fixed passive protection through to full fire retardant enclosures. See publication PUB000-004 for further details.